The Cape Leopard Trust is an active predator conservation working group in the Cape launched in 2004. It uses research as a tool for conservation, finding solutions to human-wildlife conflict and inspiring interest in the environment through an interactive and dynamic environmental education programme. Green Girl Helen Turnbull is the current CEO of the Cape Leopard Trust. 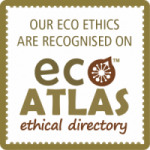 ECO ATLAS provides a unique online service to South African locals and tourists by allowing them to search for businesses, products and services that are aligned with their own values for a better world. The Green Girls in Africa and Eco Atlas have formed a partnership to provide South African tourism businesses with better recognition and coverage of their environmental and ethical achievements. Fair Trade Tourism (FTT) encourages and publicises fair and responsible business practice by tourism establishments in southern Africa and beyond by offering a certification programme that endorses tourism establishments that meet stringent criteria. The Green Girls in Africa are a preferred Business Development Support (BDS) provider for FTT. Masicorp works for the people of the Masiphumelele township, which is home to a community of more than 38,000 people disadvantaged by the historical legacy of apartheid and poverty. Their approach has been to ask the community where and how they need support and, from this, we know the residents want a hand up not a handout. All agree that education is the route out of poverty. Green Girl Louise de Waal contributes her time and expertise in-kind to Masicorp on an ongoing basis. Green Girls in Africa are a member of the Sustainable Tourism Certification Alliance Africa, an alliance of sustainable tourism certification stakeholders in Africa, with an initial focus on countries in southern and East Africa. The Alliance aims to enable an integrated approach to sustainable tourism certification throughout the continent. Green Girl Louise de Waal is a member of The Alliance’s Market Development Portfolio Committee Working Group.